Netflix may have given Amy Sherman-Palladino her Gilmore Girls revival, but she has a new home at Amazon. The latter streaming service picked up not one but two seasons of the creator’s latest series, The Marvelous Mrs. Maisel, it announced Monday. 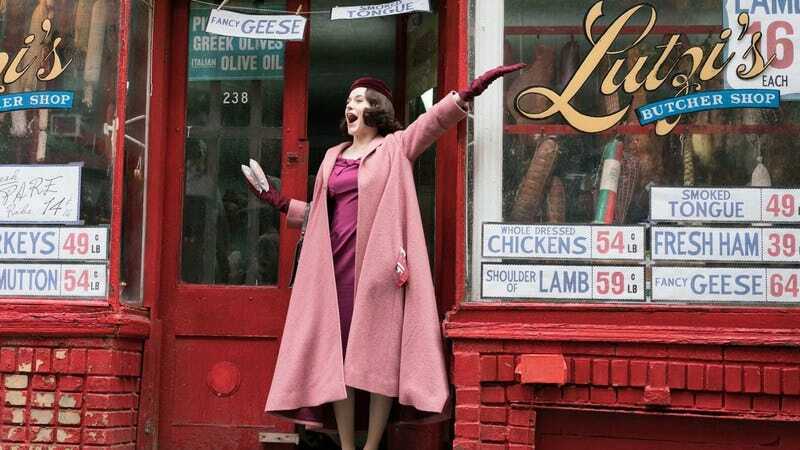 The show transports Sherman-Palladino’s knack for zingers to the 1950s and tells the story of Miriam “Midge” Maisel, a Jewish housewife in New York who discovers a talent and passion for stand-up. House Of Cards’ Rachel Brosnahan plays the eponymous character, whom The A.V. Club deemed “effervescent in the part.” Tony Shalhoub co-stars as Midge’s dad, and Alex Borstein plays her comedy mentor. Amazon hasn’t revealed when a full season will debut, but it did tout that this is the first time it has ever bet on multiple seasons of a project right off the bat.